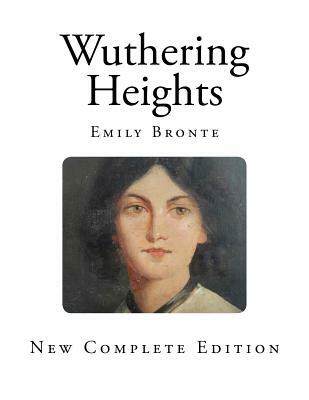 Wuthering Heights by Emily Bronte - The Classic Novel - A must Read - Complete and Brand New Copy. Wuthering Heights is the eponymous farmhouse on the Yorkshire moors where the story unfolds. Its core theme is the enduring love between the heroine, Catherine Earnshaw, and her father's adopted son, Heathcliff and how it eventually destroys their lives and the lives of those around them. 1801.-I have just returned from a visit to my landlord-the solitary neighbour that I shall be troubled with. This is certainly a beautiful country In all England, I do not believe that I could have fixed on a situation so completely removed from the stir of society. A perfect misanthropist's heaven: and Mr. Heathcliff and I are such a suitable pair to divide the desolation between us. A capital fellow He little imagined how my heart warmed towards him when I beheld his black eyes withdraw so suspiciously under their brows, as I rode up, and when his fingers sheltered themselves, with a jealous resolution, still further in his waistcoat, as I announced my name. 'Mr. Heathcliff?' I said. A nod was the answer. 'Mr. Lockwood, your new tenant, sir. I do myself the honour of calling as soon as possible after my arrival, to express the hope that I have not inconvenienced you by my perseverance in soliciting the occupation of Thrushcross Grange: I heard yesterday you had had some thoughts-' 'Thrushcross Grange is my own, sir, ' he interrupted, wincing. 'I should not allow any one to inconvenience me, if I could hinder it-walk in ' The 'walk in' was uttered with closed teeth, and expressed the sentiment, 'Go to the Deuce: ' even the gate over which he leant manifested no sympathising movement to the words; and I think that circumstance determined me to accept the invitation: I felt interested in a man who seemed more exaggeratedly reserved than myself.